Much to my dismay, summer is rapidly coming to an end. 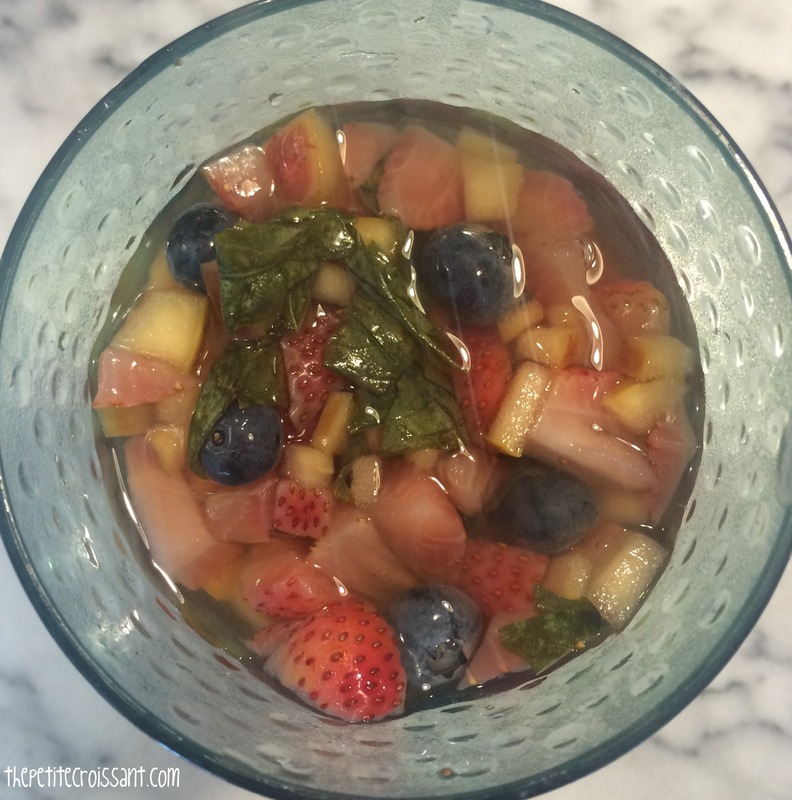 Technically, you could continue drinking sangria into the fall. 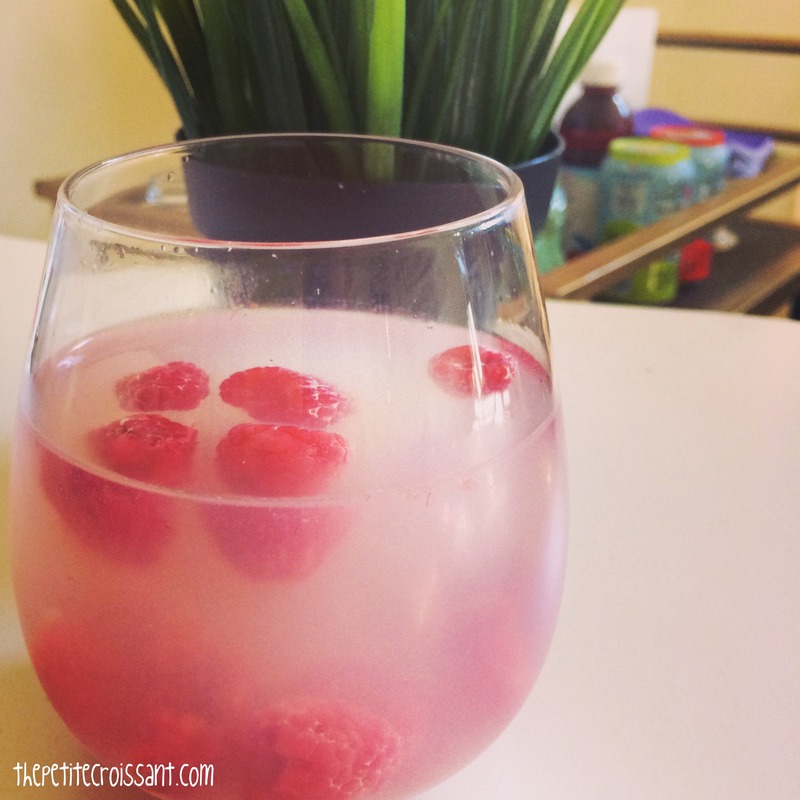 But for me, there is something so summery and refreshing about it, that I find myself trying to find as many excuses as possible to have sangria before the outdoor dinner parties and BBQs come to an end. 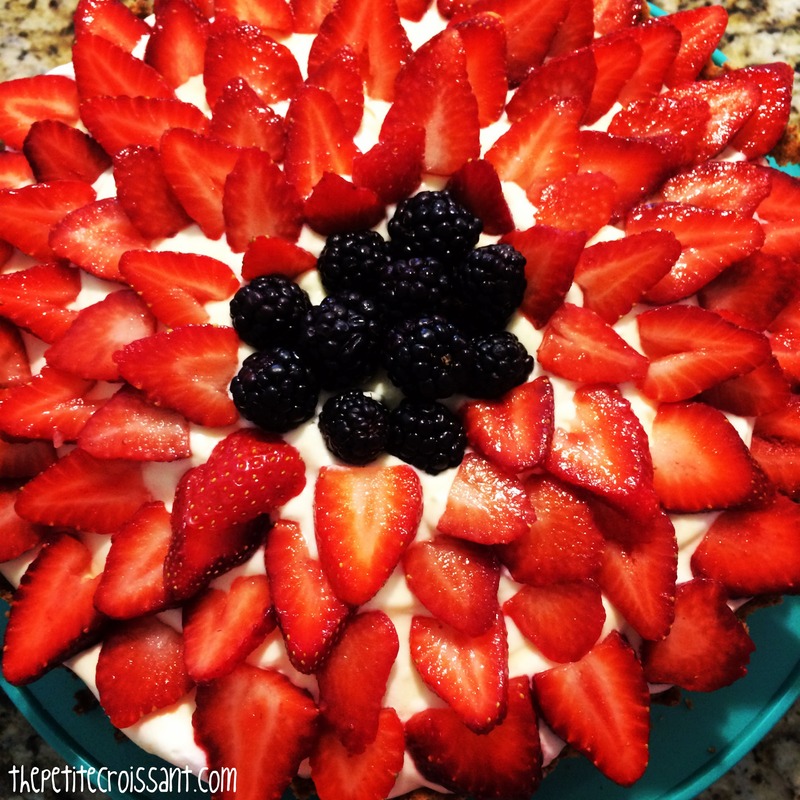 I made this for the first time on the 4th of July, and it was so good, I made it again two days later when friends came over to hang at the pool. 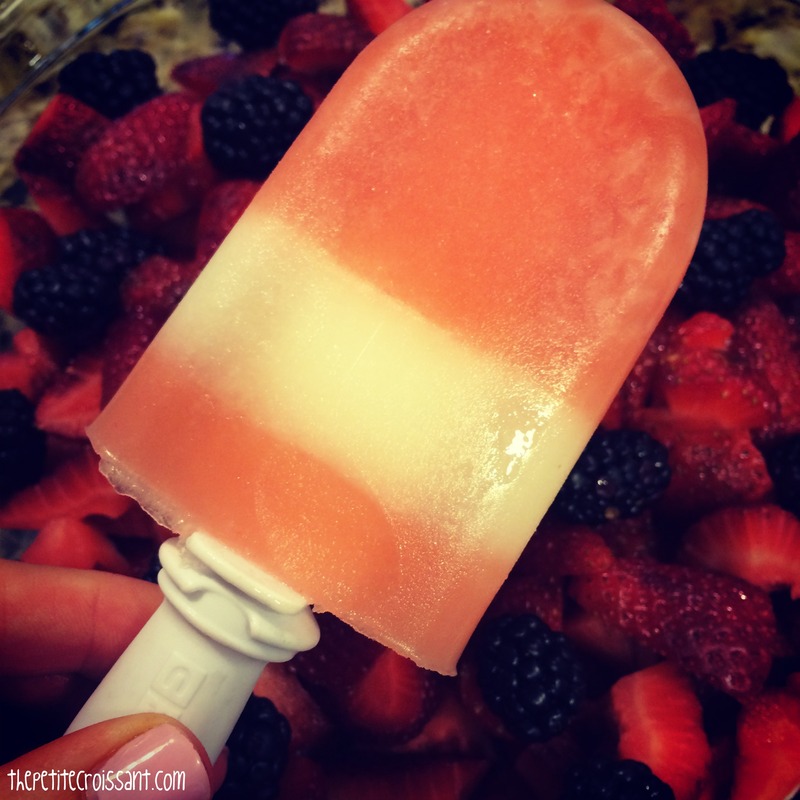 The unique mix of sweetness and basil keeps it light and refreshing. I recommend making this the day before (doing everything except for adding the club soda), to help strengthen the flavor. This isn’t my first time posting about rhubarb. I get really excited when rhubarb becomes available each summer because I love making pies, cobblers and shortcake. 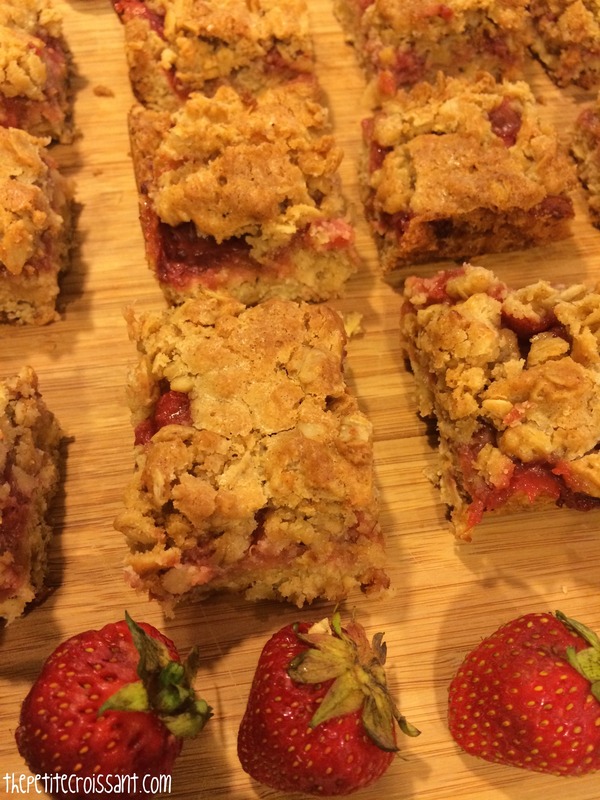 But here is another way to incorporate rhubarb into your summer desserts – strawberry rhubarb oatmeal bars. The best part about these is if you don’t eat them all the same day you make them, they make a great breakfast the next morning with a smoothie or some eggs. So this weekend is my five year college reunion. A lot has changed in the five years since I graduated from Hamilton College. One of the ways I’ve changed is I’ve really upped the caliber of cocktails I drink. In college, partly because we lived in upstate NY and weren’t going out to cool bars with trendy drinks and partly just because we were poor and lazy, there was a lot of vodka/Crystal Light combinations, and sadly even some Andre. So in honor of being back at college this weekend, I have two fun and classy summer cocktails to drink this summer. To me, this is one of those quintessential summer dinners. It involves a lot of different vegetables, and is healthy and light, but also filling. 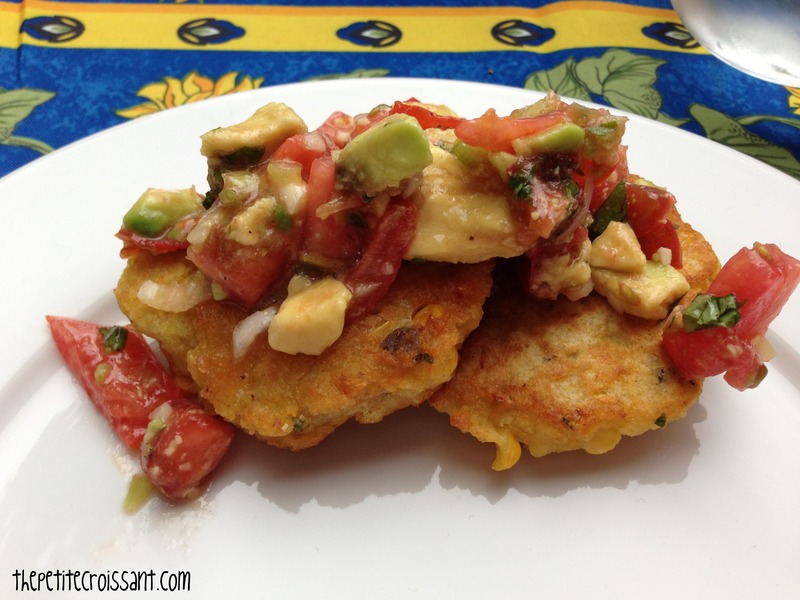 The corn cakes are similar to the zucchini fritters I posted previously, so if you liked those, definitely try this out. 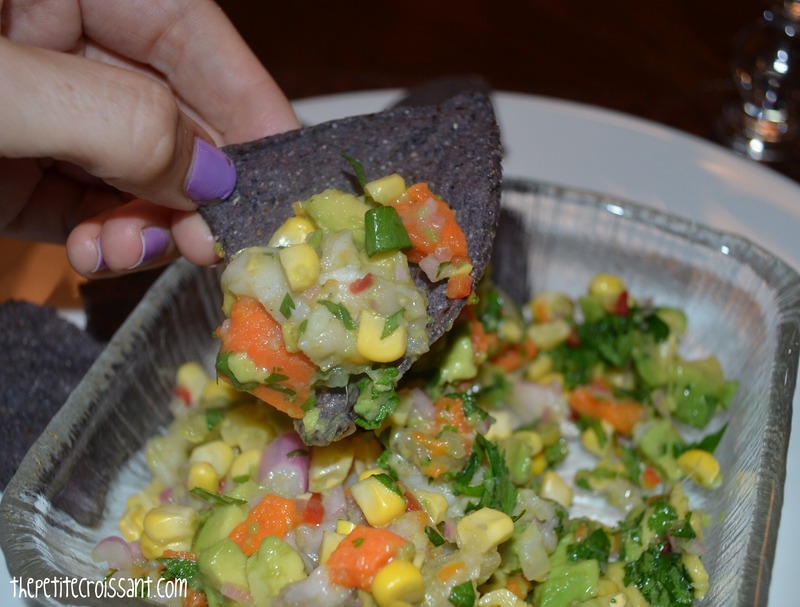 These have quickly become a new favorite in my house, made even better by the tomato and avocado home-made salsa we served with them. The green bean salad is another light and healthy item with a lot of diverse flavors, but it takes very little time to throw together. Ceviche is one of those things I’ve only more recently started to like. For a long time, I avoided almost all seafood. This really only ended when my parents took me to Turks and Caicos for Christmas and I realized that if I was going to eat anything on the trip, I really needed to start enjoying fish. So while I was home this summer, I got my dad to make his famous ceviche. And I have to say, I deserve no credit for this recipe. I just simply sat back, photographed the steps, and then ate the amazing food.